MADISON, WI—Wheels kicking up dust as her car peeled out of the driveway, local grandmother Delores Hanson jumped into her 2005 Buick Lesabre for an emergency birdseed run, sources confirmed Wednesday. 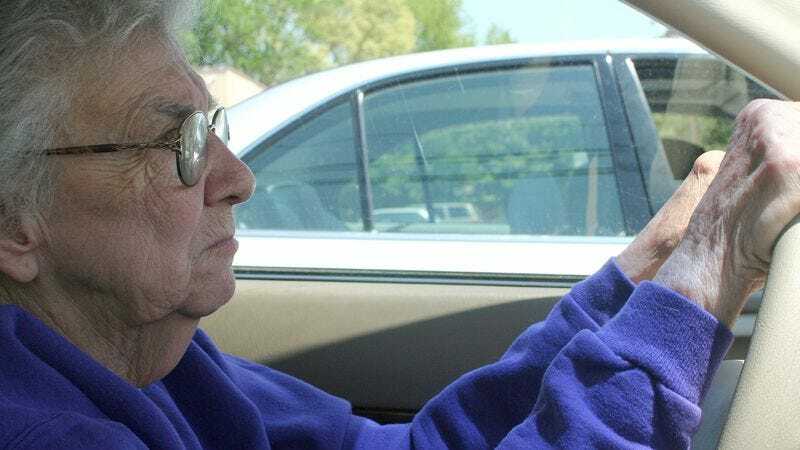 “I’ll be goddamned if the blue jays are going hungry!” said Hanson, her vehicle powersliding around a corner and into the Petco parking lot where the 73-year-old dashed out of the still idling car to purchase a 15-pound bag of sunflower seeds. “Hang on, birdies, dinner’s coming! Out of my way, cocksuckers!” At press time, Hanson was doing 30 miles above the speed limit but had no intention of stopping for the police car in her rearview mirror.